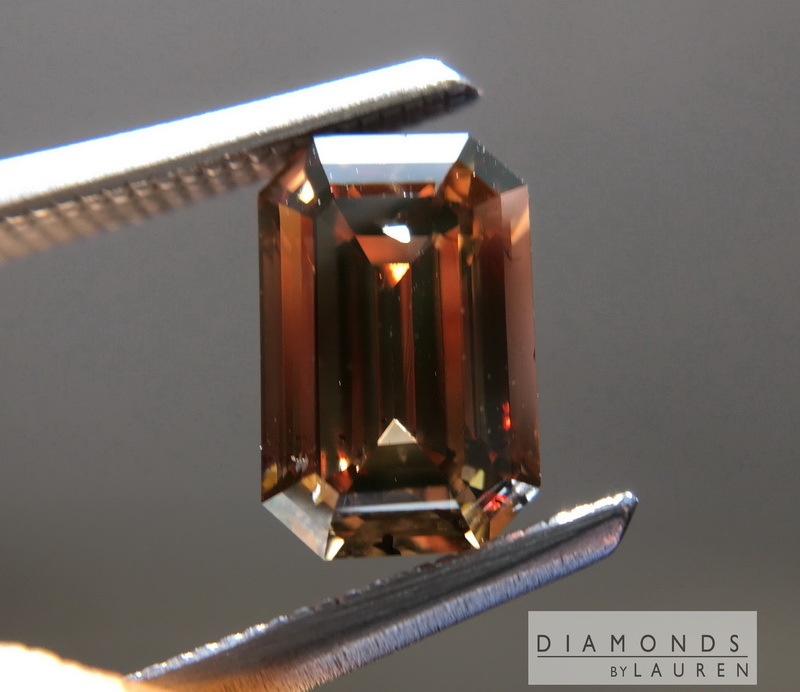 Brown diamonds are so cool! 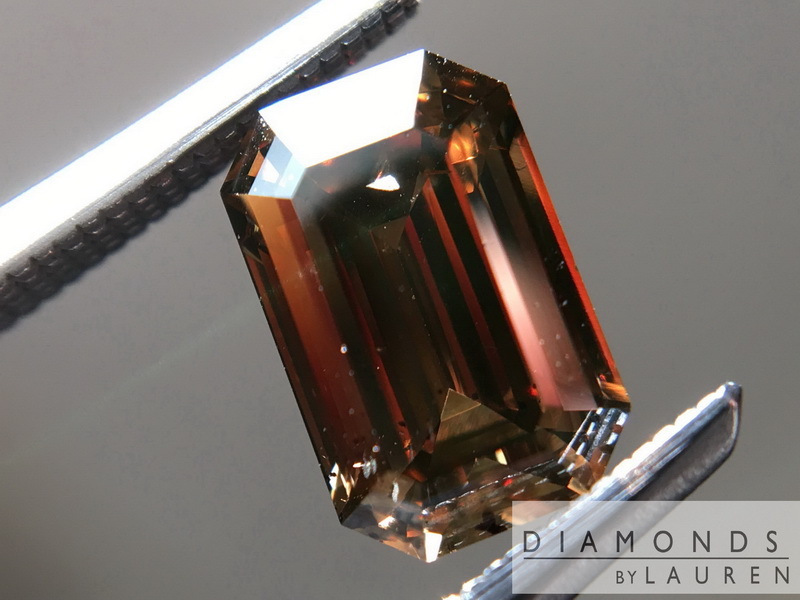 Obviously this is a Fancy Colored Diamond. But look at the price! So you're getting an exotic rare stone, for way less than an ordinary white diamond. 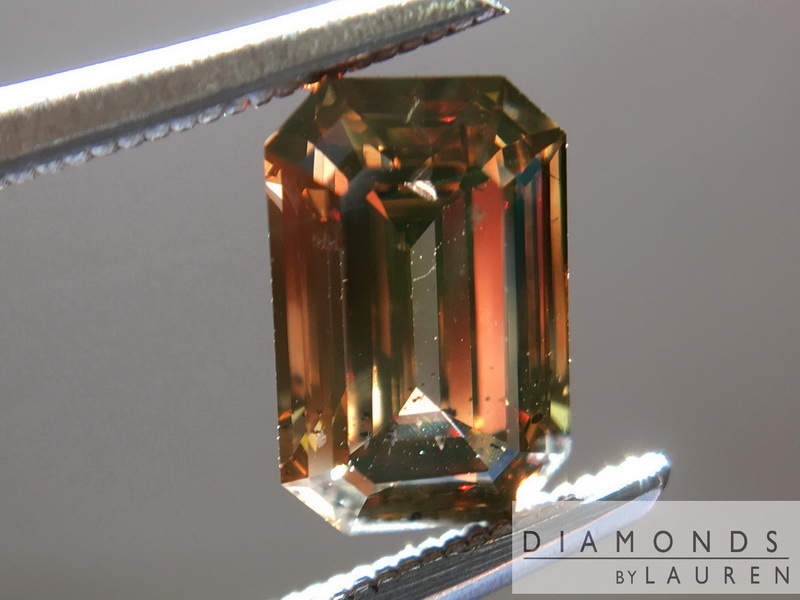 In this case, we're offering an Emerald Cut, which is pretty rare in this color. The color is quite deep. I can see a bit of orange in the flashes that reflect back to my eyes. 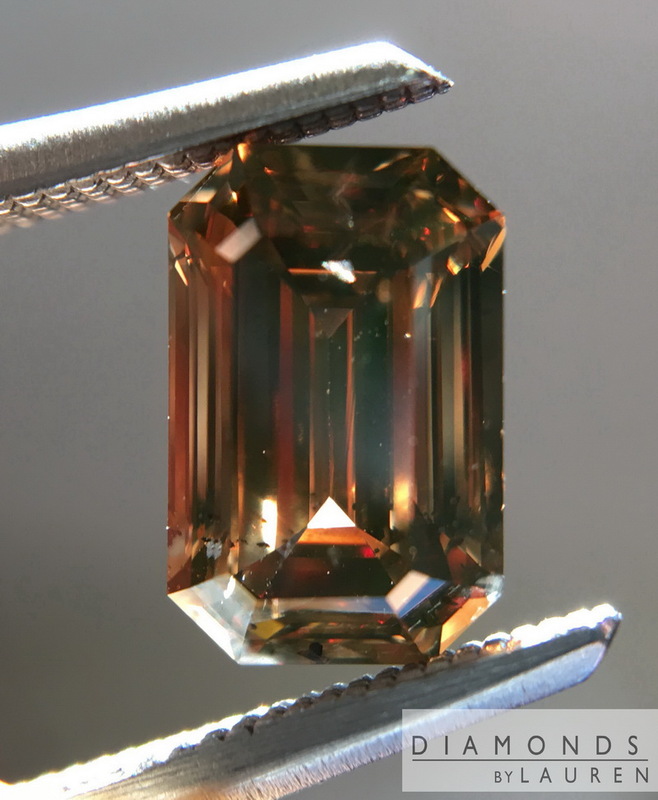 I love emerald cuts in general, and specifically this one has a really nice cut. I will say that it is not large for it's weight. It looks like a one carat - not larger. That's the only small downside I see. 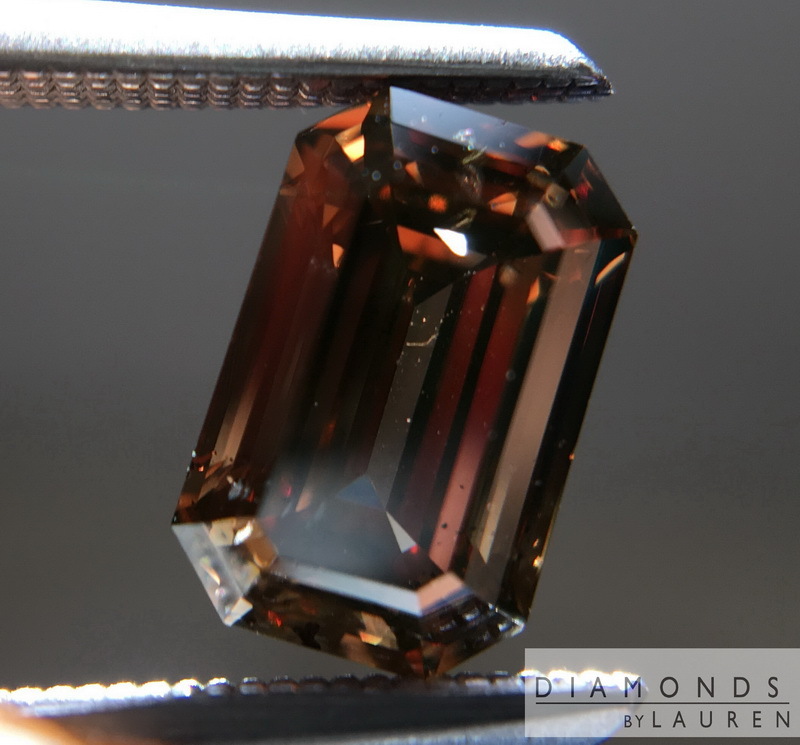 The crown is generous, which allows the stone to grab light from many different angles. The shape is lovely - the steps are easily visible and attractive. 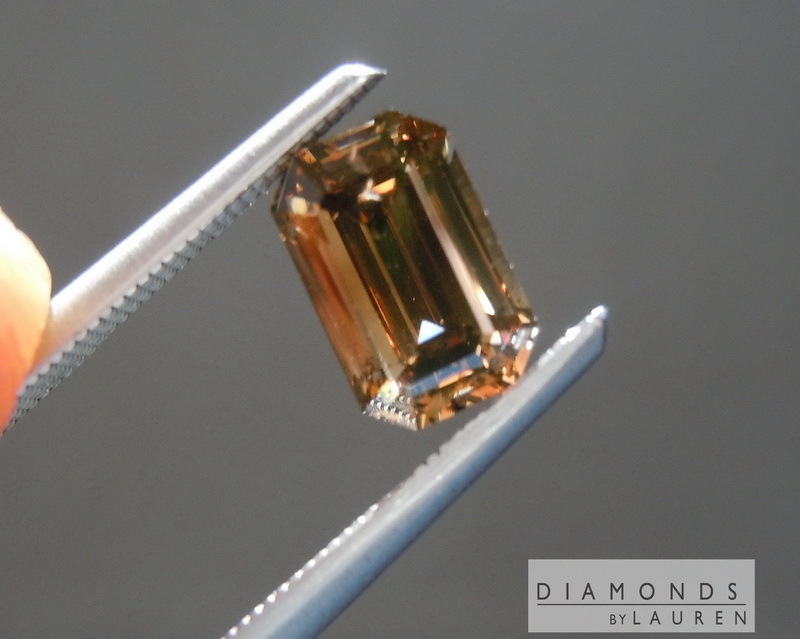 I have graded the diamond SI2 - and it is an eye clean SI2. 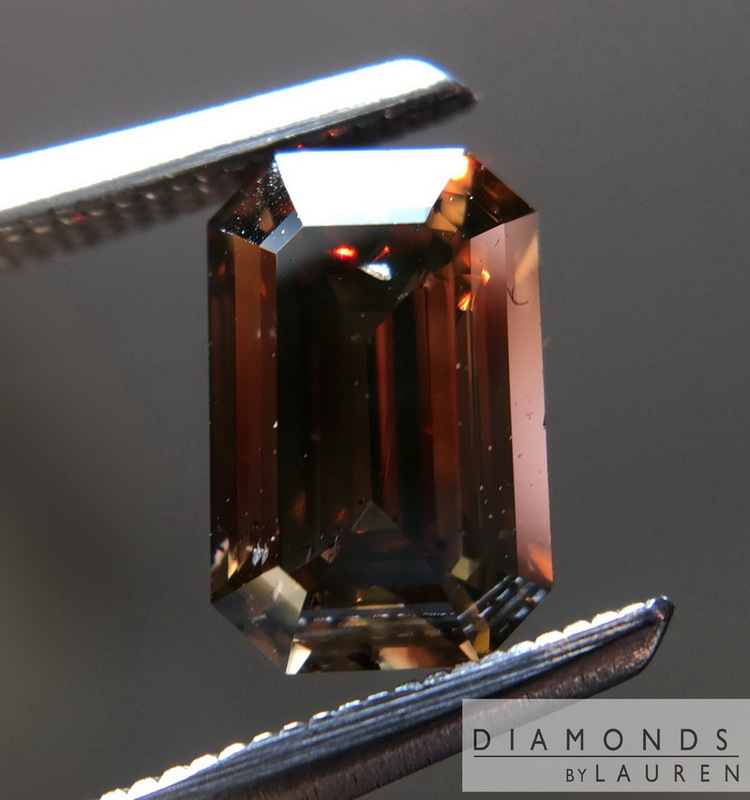 Amazing value - we will probably set the diamond but right now it's offered loose. The grades/measurements below are ours - if you'd like a GIA report, it's $149 additional.